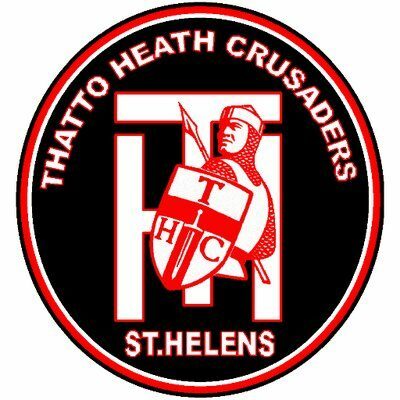 Leigh Miners will make the short journey over to St Helens on Saturday to take on Thatto Heath Crusaders in the second round of the Coral Challenge Cup, Kick off 2pm at Close Street. Miners go into Saturday’s cup clash having beaten Oulton Raiders 22-10 in the first round a fortnight ago at Twist Lane, the win being the first in the Challenge Cup since 2015 after falling at the first hurdle in the previous three years. Defensively the lads put in a good shift from start to finish in the heavy conditions against a big Oulton pack, Whilst in attack Miners showed some encouraging signs with ball in hand, with Jack Reynolds and Josh Ward being standouts as well has youngster Liam Kenyon who took the Man of the match award on debut. This week the side selected to take on Thatto Heath know they will have to be at their best if they are to beat one of the best sides in the country and make it to round 3. Saturday’s game will also give Miners a good indication of where they are at and what they need to improve on, as they gear up for their return to top flight NCL rugby at the beginning of March. Coach Dave Rowlands makes three changes from the side that beat Oulton, with Louie Brogan, Ethan Jones and Adam Thomason coming into the side for Adam Bibey who is out for at least the next three months with a bicep injury, Deakon Monks (injured) and Josh Ward who is flying over to Australia in the next week or so to play his rugby this year in Queensland. Thatto Heath will no doubt be one of the front runners again this year in the Premier Division with coach Richard Owen at the helm, and they go into Saturdays contest on the back of a 32-6 home win against Stanningley in round one. The u18s are playing tonight (Friday) in a friendly against Shevington Sharks, kick off 7-30pm at Twist Lane. Earlier in the week they made it through to the last sixteen of the BARLA National Cup when they beat Westhoughton Lions 40-0 at home.